The Dutch government is very secretive about import data from Israel and Palestine. For over two years now, we try to get specific import data which the Dutch Customs refuses to provide. How we keep pushing for information that should be publicly available. 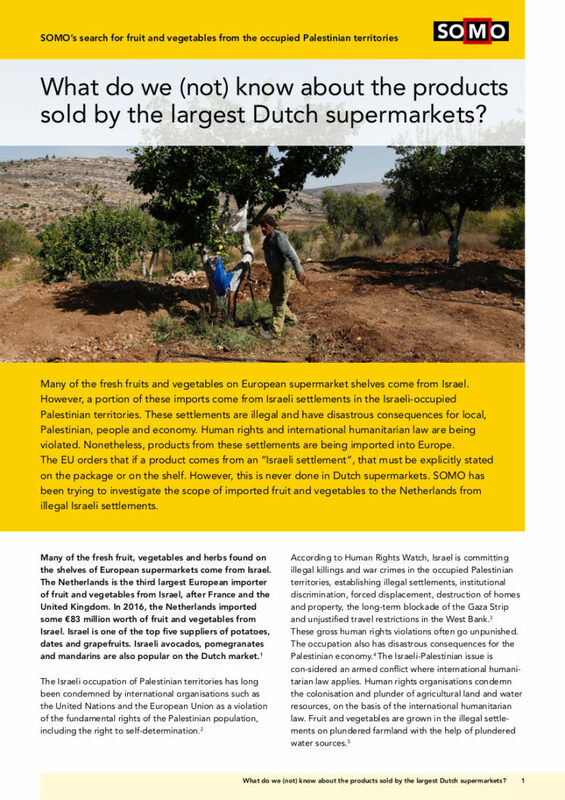 Fruits and vegetables in European supermarkets regularly come from Israel. Part of these imports come from Israeli settlements in the occupied Palestinian territories. These settlements are illegal and have disastrous consequences for local, Palestinian, people and economy. 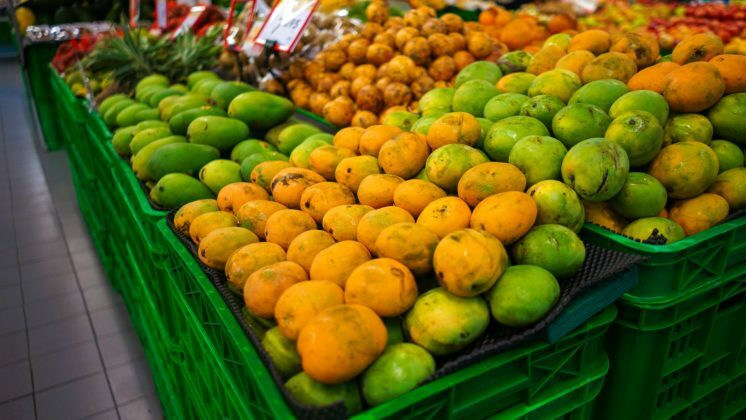 Because of fraudulent actions in the trade of these products prior to exportation they are not recognizable as settlement products on supermarket shelves. SOMO has been trying for years to ascertain the extent of this problem. Civil society organisations like SOMO need specific information on business relations and locations of production to expose and address exploitative practices in international supply chains. One of our most pressing needs for such information currently relates to our work on fruit and vegetable imports to the Netherlands from illegal Israeli settlements in the Palestinian territories. We know that this import exists, but we are not able to trace the whole supply chain up to the Dutch customer. Also, we are not convinced that retailer policies for proper labelling of these products or for preventing them from entering their shelves are effective. Therefor we have tried a number of different ways to get a better understanding of this controversial import. One way in which we tried to find more information is by starting a Freedom of Information (FOI) procedure. This is a way to access and obtain documents that are held by governments and their institutions. 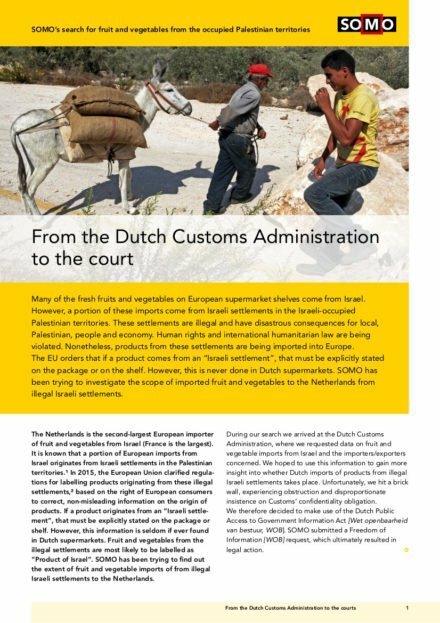 In November 2016 we sent our initial FOI request to the Dutch Customs for information on the Dutch import of fruits and vegetables from Israeli settlements in the Palestinian territories. 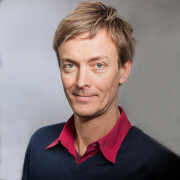 We were aware that earlier, Customs in the Netherlands, and several other EU countries, had refused civil society organisations access to similar information. However, to our knowledge, these questions had not been in the form of FOI requests. Because government institutions responses to FOI requests are mandatory it potentially makes FOI procedures more forceful than a regular request for information to authorities. We reckoned that if our FOI request would be successful we would get (some of) the information we were looking for. And, if it would fail, we at least would have a clearer idea of the limitations of FOI procedures for this purpose. This experience could then help us in advocating more strongly for access of civil society organisations to trade information from Customs. Indeed, in July 2017, the European Parliament called upon the European Commission and EU countries to seek ways to enable this. In November 2017 our initial FOI request was turned down. However, we decided not to give up and in April 2018 we wrote a new FOI request to the Ministry of Finance which is responsible for Customs. 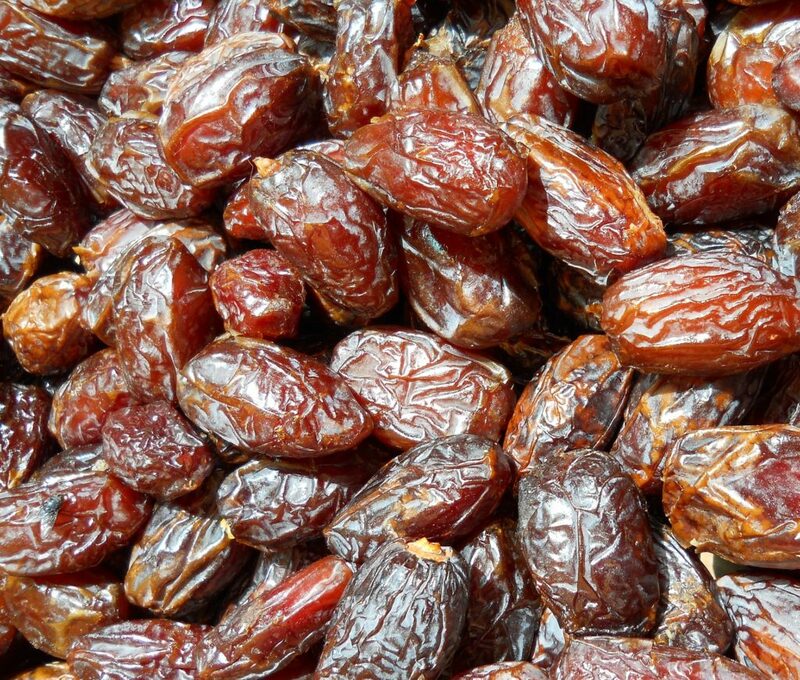 As with the first one, this second FOI request asked for documents on the trade in various food and agriculture products such as rice from Cambodia, canned tuna from Thailand, wine from South Africa and fruits and vegetables from Israeli settlements. This time around, however, thanks to the previous FOI procedure, we were better equipped to more precisely name the documents we were looking for. 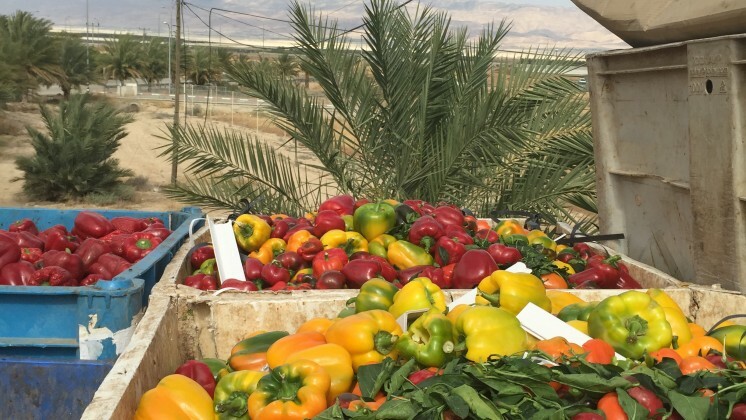 In addition, for the trade in food products from the Israeli settlements, we asked specifically for documents about custom oversight and enforcement. Two months later the Ministry responded. They wrote that the Customs do not have a specific budget to monitor the trade of products from the illegal settlements. 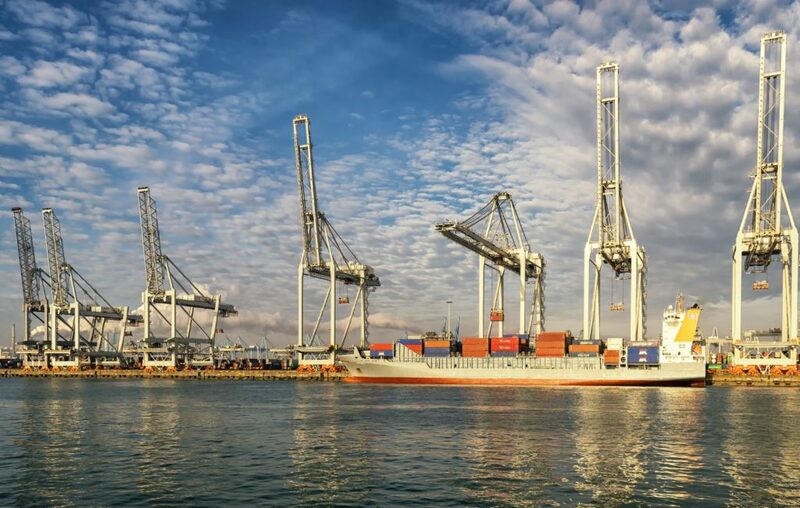 However, they do have a specific procedure to verify that such products are not traded as ‘coming from Israel proper’, in order to be able to levy the correct import tax. 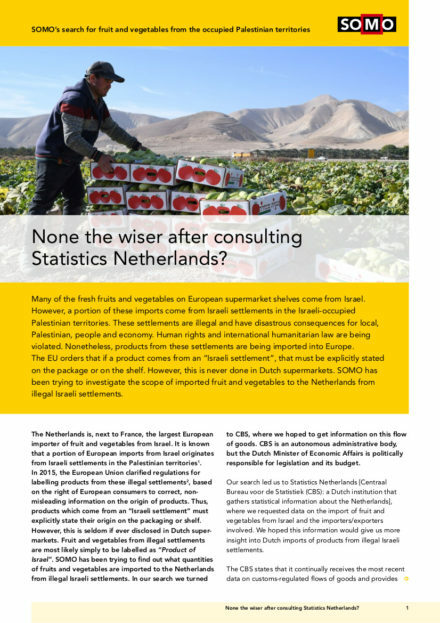 The Customs also shared an internal memo on the European Commission’s guidance for the private sector in labelling products from the illegal settlements. 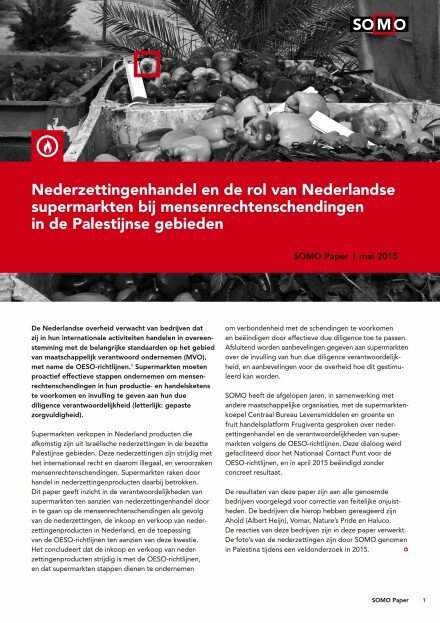 The memo clarifies that the Netherlands Food and Consumer Product Safety Authority oversees correct labelling in which Customs has no role. It also refers to custom officials to a document detailing settlement locations and their zip codes. This is to support them in their duty to prevent settlement products from getting the lower Israeli import tariff. Last but not least, the Ministry made it clear again that Customs will not disclose the information on trade and import we were asking for. Just as they had the first time, they claimed that by law they need to protect the privacy of the companies that fill out Customs declarations. In July 2018 we responded with a formal objection to their most important decisions. We stated that the European Customs Code does not specify clearly what information from companies needs to be considered confidential. Moreover, we argued that even if this were the case, potentially sensitive information could be shared in a way that prevents revealing supposed business or trade secrets. We used a similar argument to address Custom’s refusal of the requested oversight documents on the grounds that it could jeopardise inspections. In September 2018 a meeting with the Customs, a so-called hearing, allowed to further motivate and understand each other’s positions and arguments. In October however, we received a negative response from the Ministry again. In this formally written decline, their initial argumentation is further elaborated on, there is one piece of puzzling information saying that ‘the institution does not dispose of governance information based on Customs declarations’. 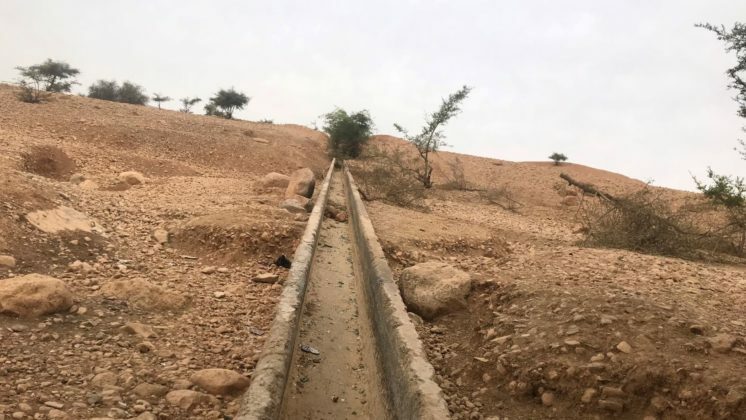 In November 2018 we decided not to appeal their decision (the possible next possible in this legal process). With our external FOI advisor, we concluded that our chances for success would be greater if we formulate a new FOI request. Also because appeal procedures usually take a least a year, with a new request an answer would come sooner. In this new FOI request, we are considering asking directly for import documents that contain aggregated data from custom declarations such as internal reports for monitoring or evaluation purposes. This is because we think Customs holds such documents and we believe the FOI procedure should allow public access to these documents. Another argument we consider making in the new FOI is that the categorical refusal of the Customs cannot mean that citizens have no means to verify its proper functioning. We are now considering how we will proceed exactly and will likely submit the new FOI request in February 2019. As a research organisation, we will exhaust all the possibilities we have at our disposal. We need more transparent supply chains if we want to address controversial trade and irresponsible business conduct.